Food and Drug Administration officials have finalized guidelines that make it easier for pharmaceutical companies to use medical journal articles to promote drugs for unapproved uses. The final guidelines, which have been criticized by some lawmakers as too lenient, allow companies to distribute articles about their products to doctors - even when they involve uses that have not been federally approved. The FDA document, posted online Monday, comes just days before the Bush administration turns over power to President-elect Obama's government. On the campaign trail, Obama criticized pharmaceutical industry efforts to court physicians. For their part, companies like Pfizer Inc. and Eli Lilly said the guidelines merely reauthorize a longstanding policy that benefits doctors and patients. "Physicians need timely access to the latest medical information to keep abreast of the best practices in patient care," said Alan Bennett, an attorney representing the pharmaceutical industry. Companies are not allowed to advertise products for "off-label" uses, or those that have not been cleared by the FDA as safe and effective. However, FDA has allowed company salespeople to distribute articles about such uses if they are published in a peer-reviewed medical journal. The law permitting that practice expired in September 2006, and drugmakers have been lobbying the agency to renew it ever since. The reliability of medical journal articles came into question earlier this year when drugmaker Merck & Co. Inc. was accused of ghostwriting several articles about its painkiller Vioxx, which was withdrawn from the market in 2004 for safety reasons. Reports published in the Journal of the American Medical Association alleged that Merck paid academics to take credit for articles which were actually written by the company. Merck denied the allegations, calling them false and misleading. FDA said the new guidelines are designed to discourage ghostwriting. Specifically, they recommend companies disclose any financial relationships with article authors and specify authors' affiliations. 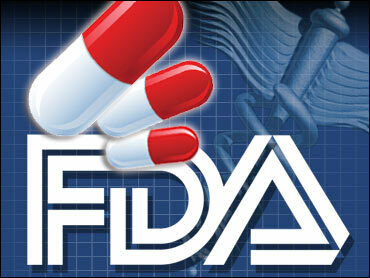 Overall, though, FDA remains supportive of distributing articles about experimental uses of drugs and medical devices. "The public health may be advanced by healthcare professionals' receipt of medical journal articles ... on unapproved new uses," the agency states. Such uses may even "constitute a medically recognized standard of care," according to the agency. Lawmakers including Rep. Henry Waxman, D-Calif., have criticized FDA's guidance, saying it represents a step backward in enforcement standards for the pharmaceutical industry. Under the expired law, companies had to submit reprints of articles to the FDA before sending them to doctors. That way, the article's accuracy could be verified. Under the new proposal, drug companies don't have to submit articles to the FDA. Waxman and other Democrats have said the change makes it easier for drugmakers to promote potentially risky medical practices.